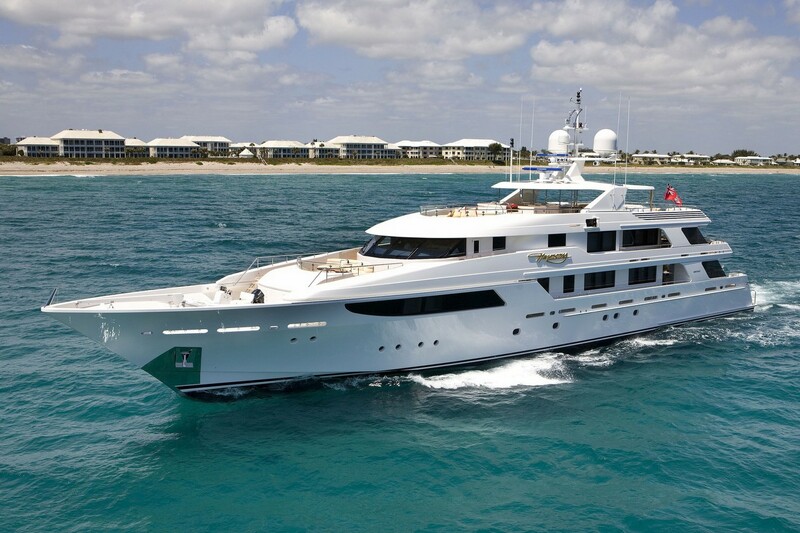 49,71m (164ft) luxury motor yacht GIGI is a beautiful displacement vessel built by the US shipyard Westport Yachts and launched in 2010. 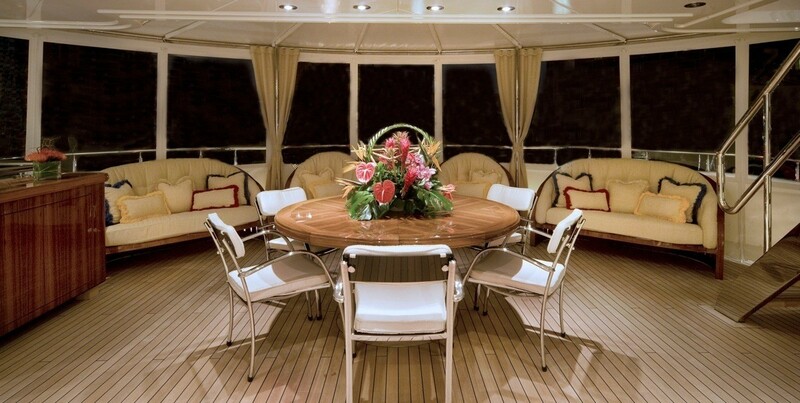 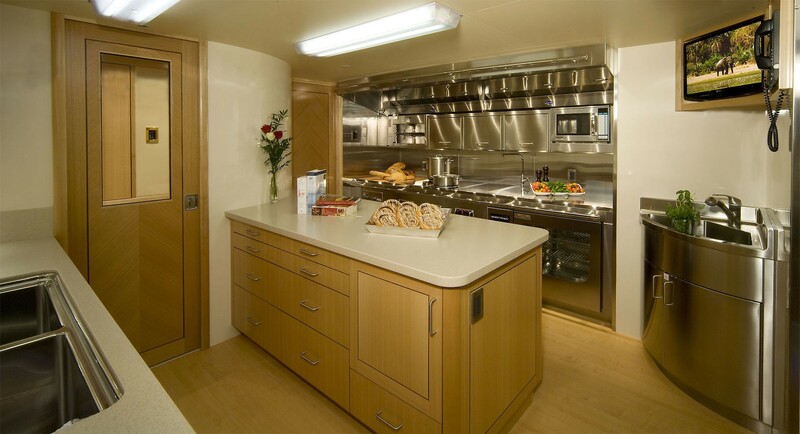 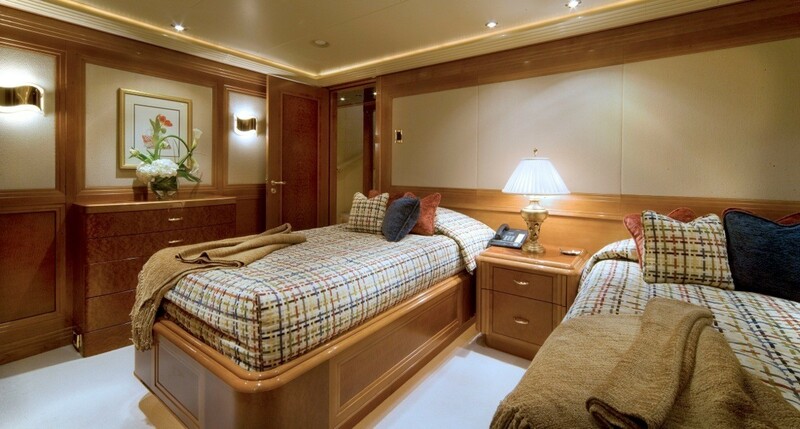 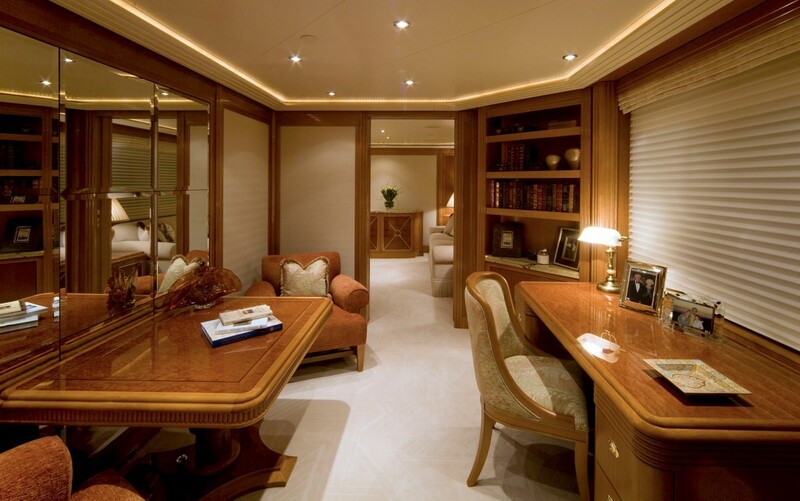 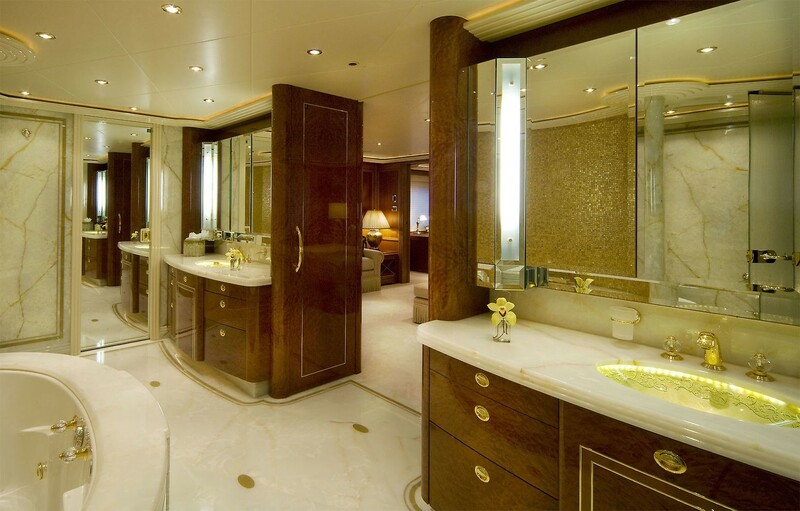 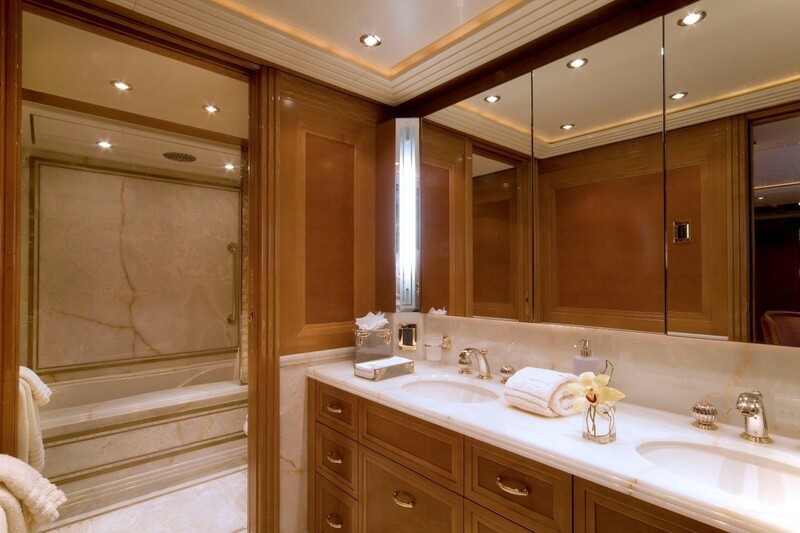 She accommodates up to 12 guests in 6 staterooms. 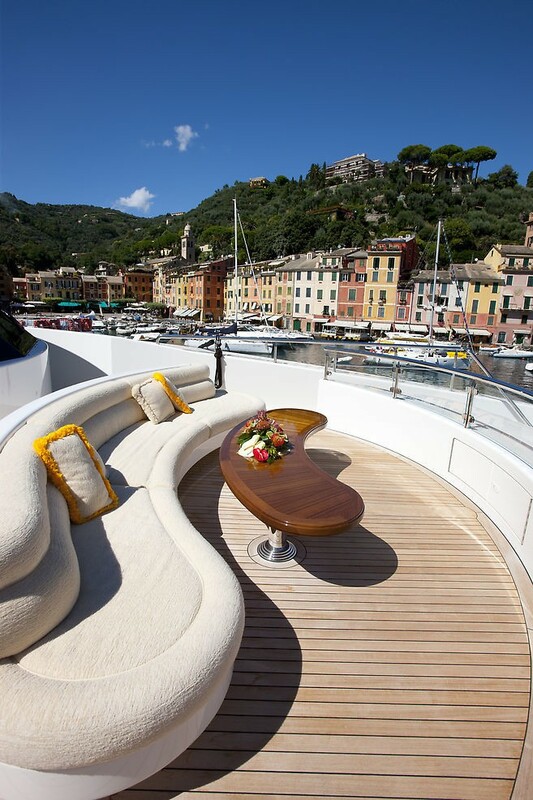 GIGI features both exterior and interior design by renowned Donald Starkey Designs. 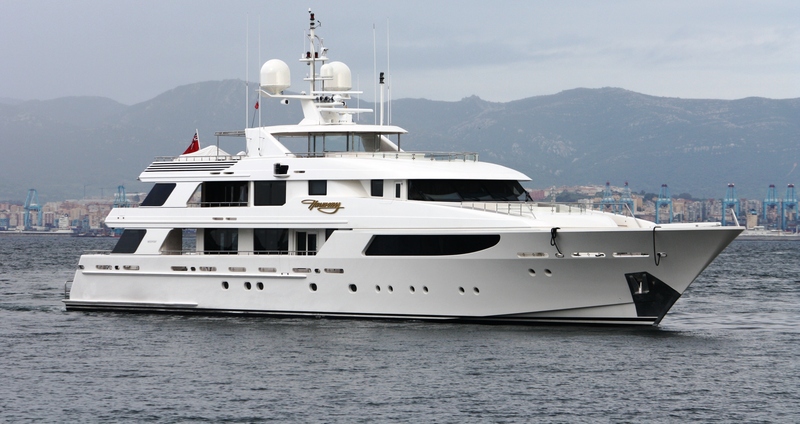 Her naval architecture is by William Garden. 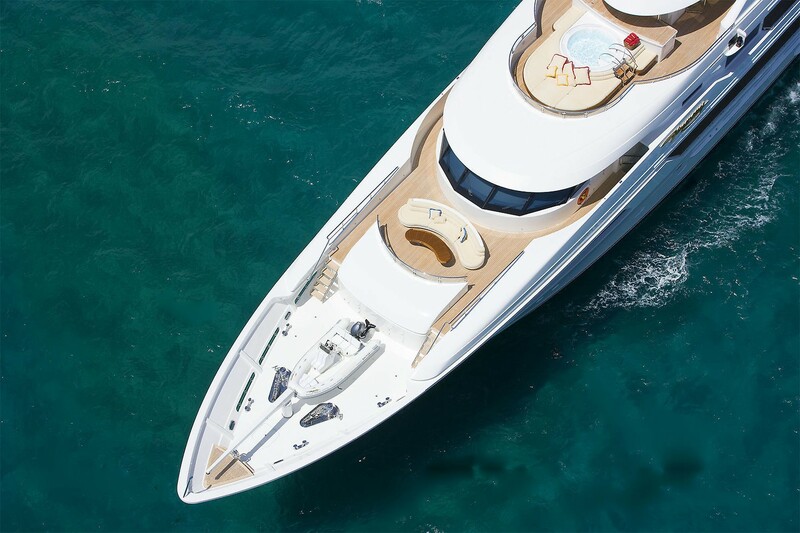 She boasts a refined hull form for exceptional ocean-going performance and contemporary styling. 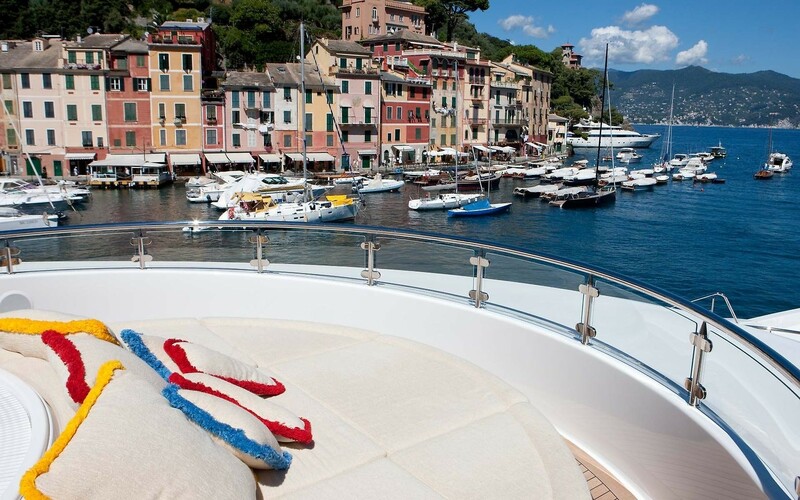 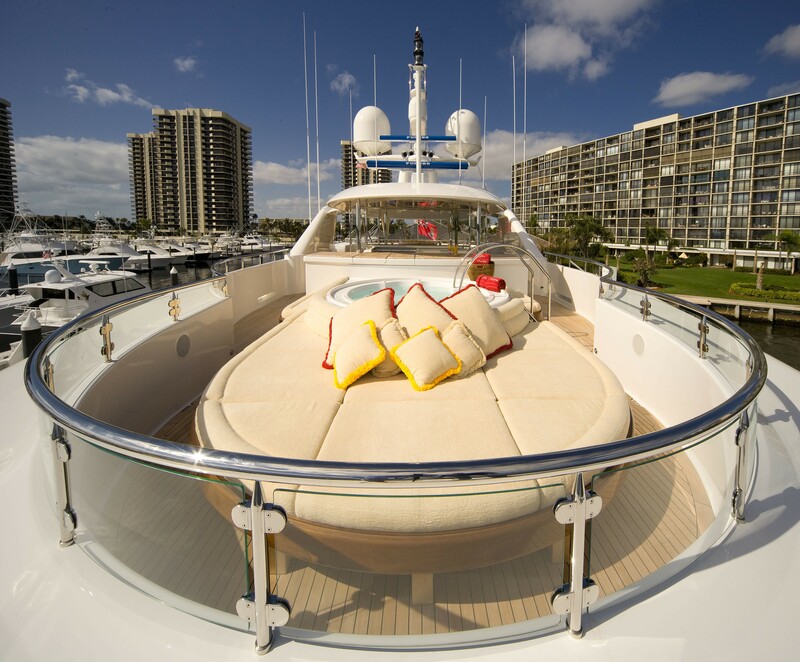 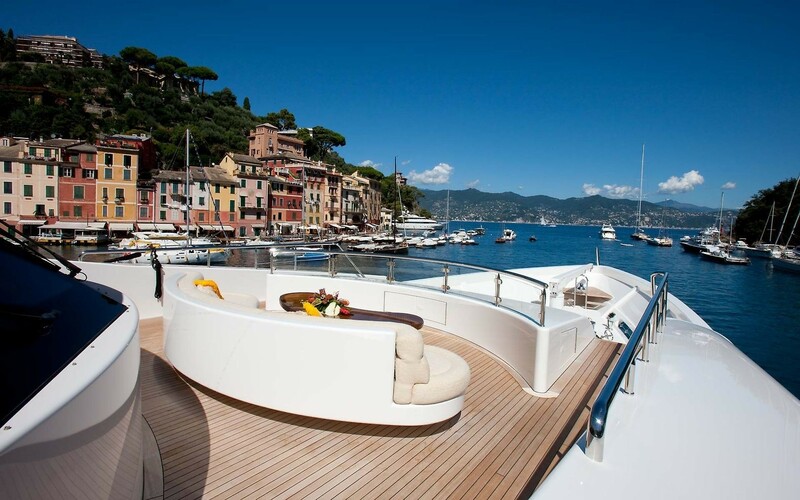 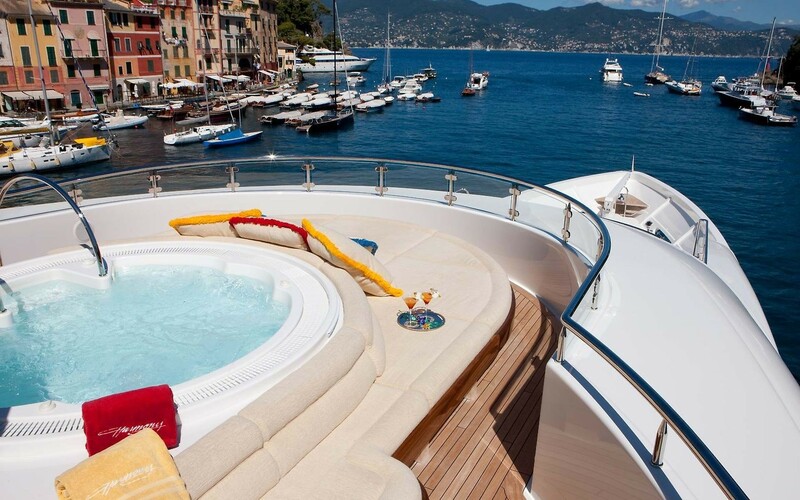 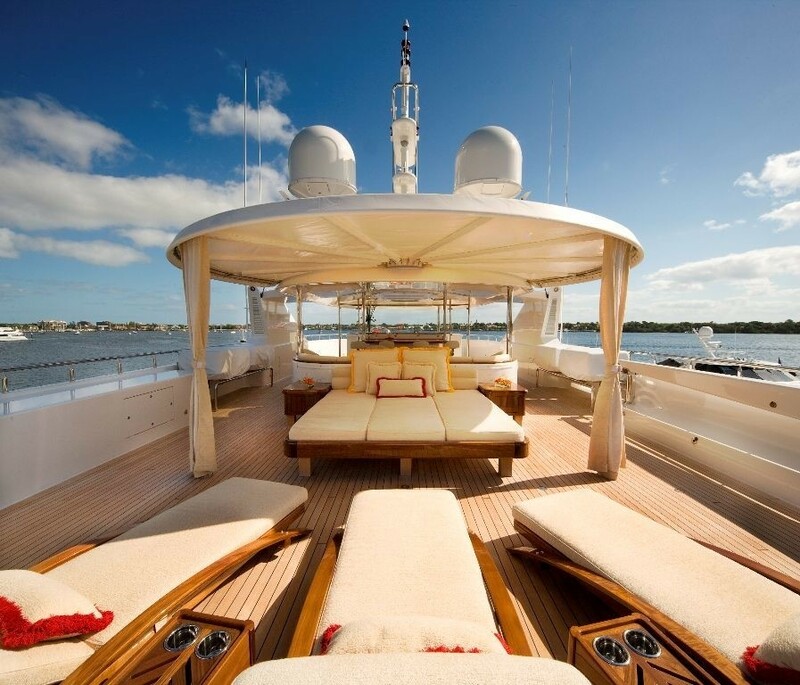 There is a top-deck VIP suite with its own sun deck, a large formal dining room adjacent to the commercial-grade galley, and a garage aft for yacht tenders and water toys. 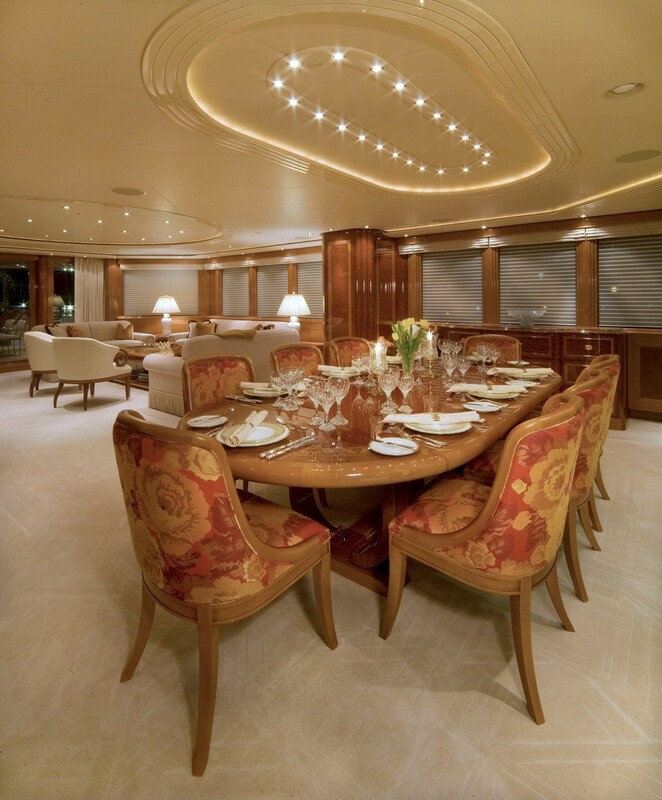 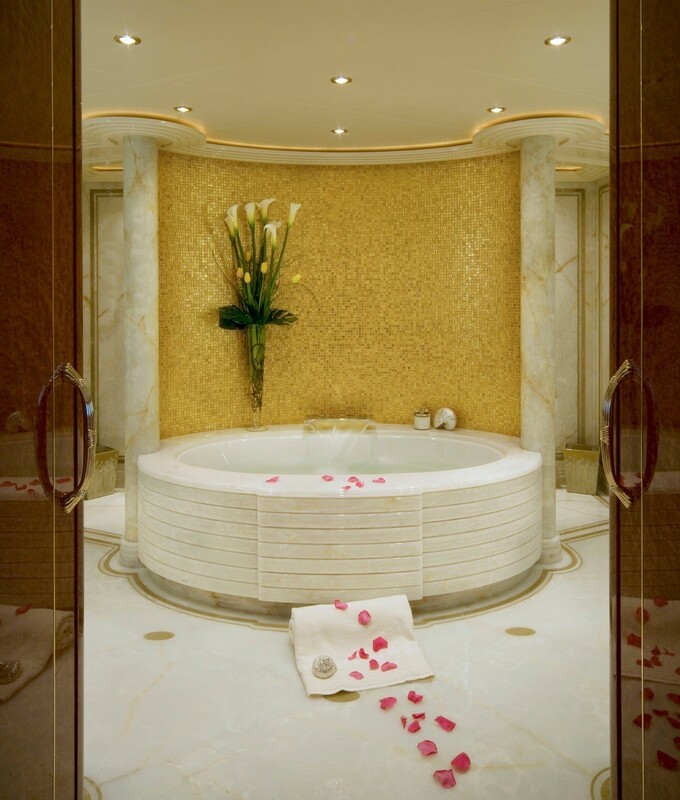 Designed for entertaining and relaxed socializing, the salon is spacious and comfortable. 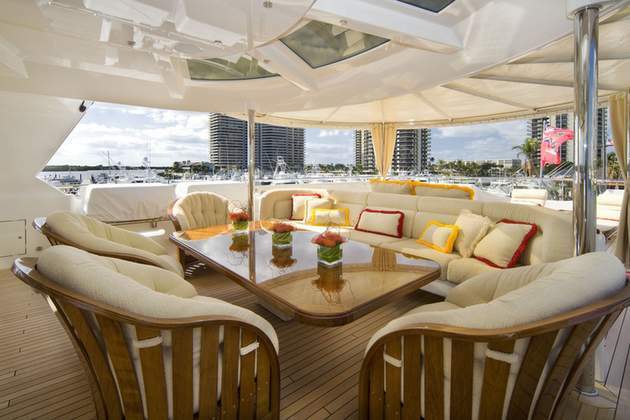 It is composed of 3 sofas around a large coffee table and boasts a large flat screen TV. 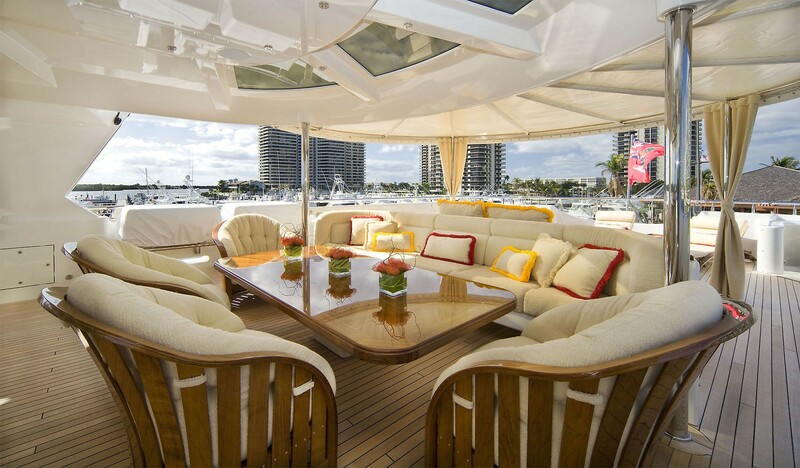 It leads on to a large dining area for 12 guests and opens to a large covered aft deck with lounge, conversation areas and wet bar. 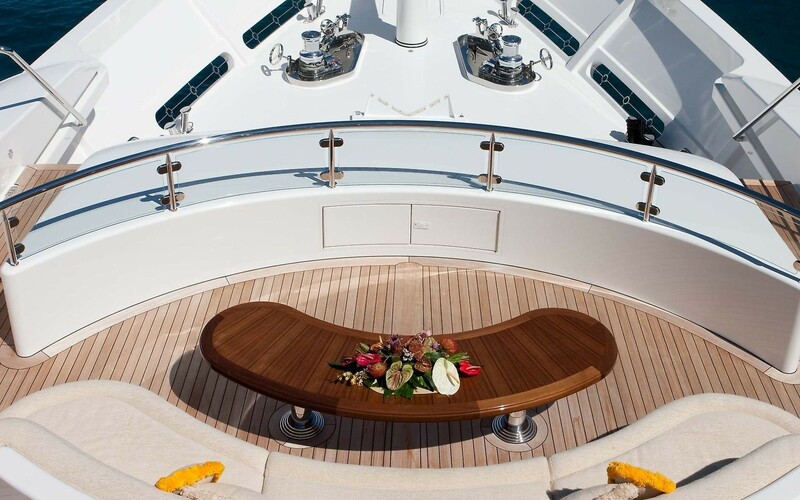 Whilst her interior is traditional yet somewhat crisp, her exterior is slightly contemporary and features 3 al fresco dining options as well as 3 sunning areas with inviting hardwood chaise lounges. 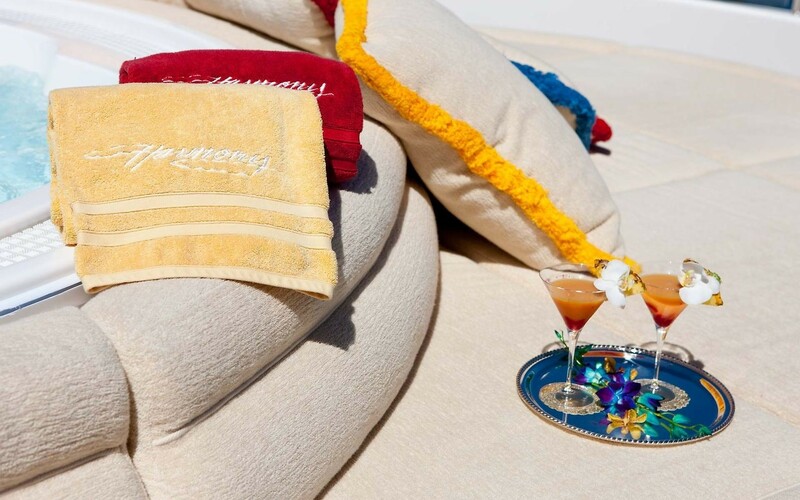 Perfect for relaxing or sipping a cocktail or two with friends. 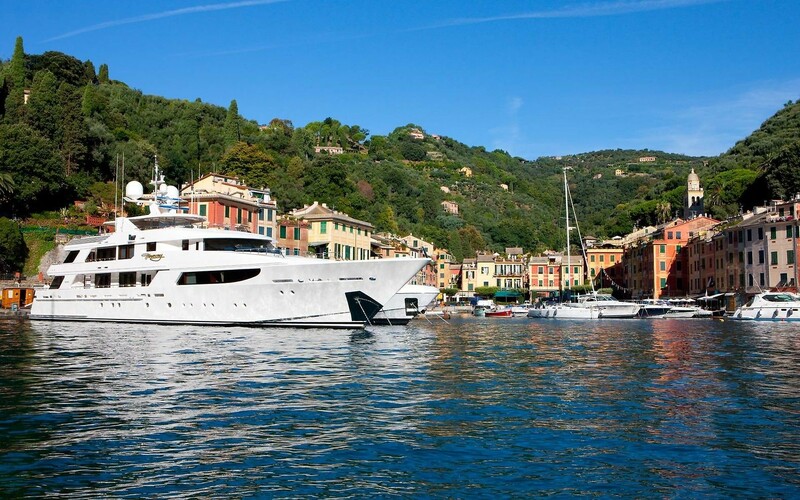 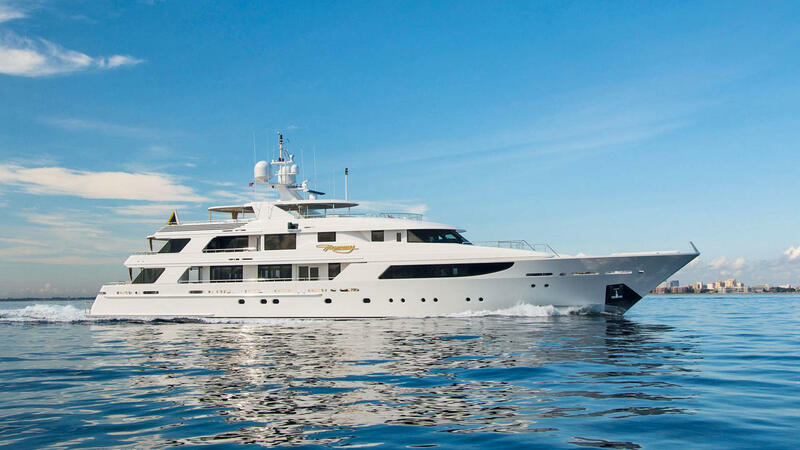 GIGI reaches a top speed of 24 knots and a cruising speed of 20 knots, thanks to her twin MTU 16V 4000 M90 diesels. 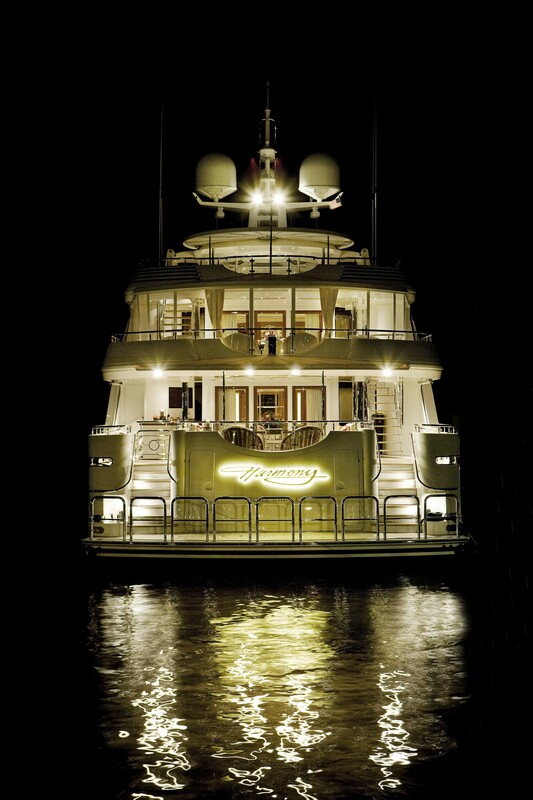 Her beam is of 9.17m (30´09´´) and her draught of 2.23m (7´32´´). 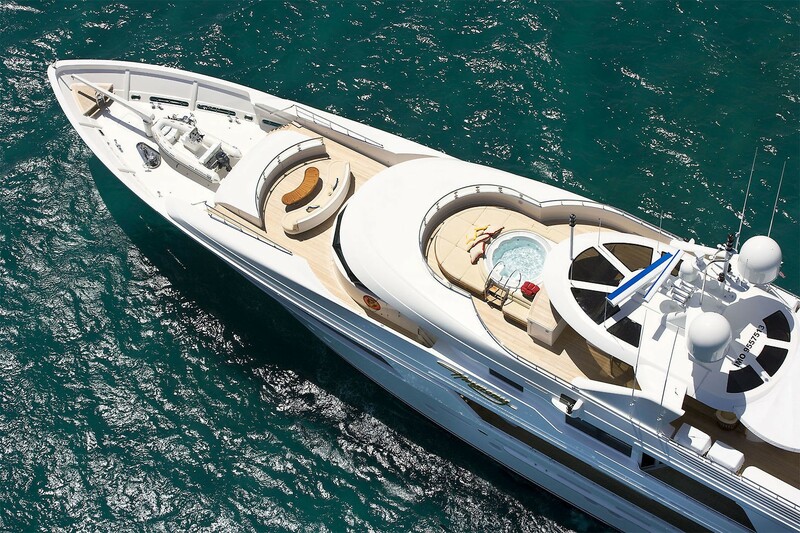 She is ABS classed. 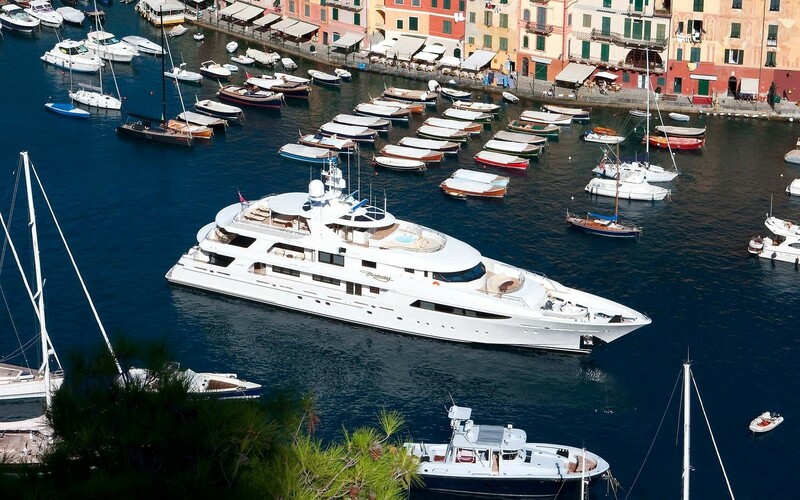 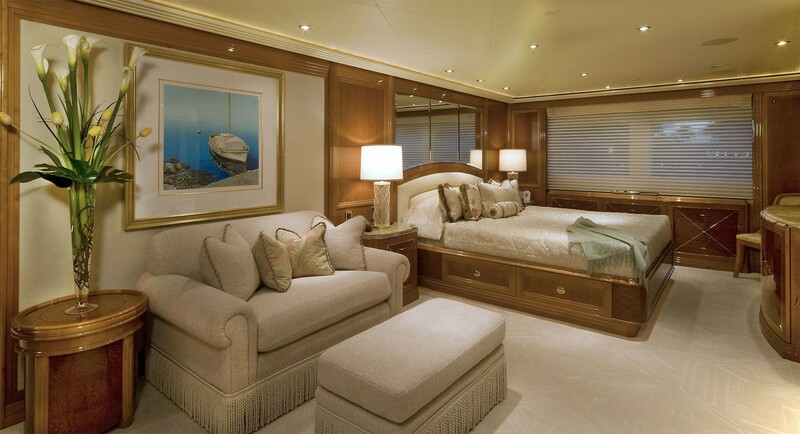 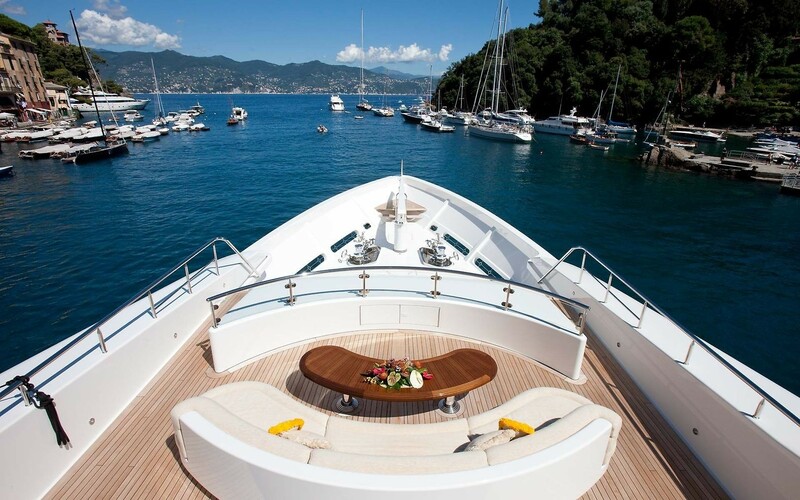 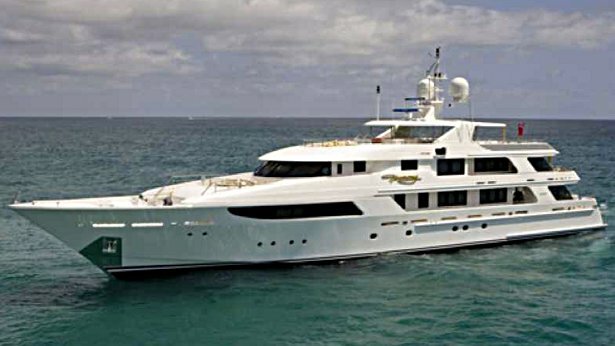 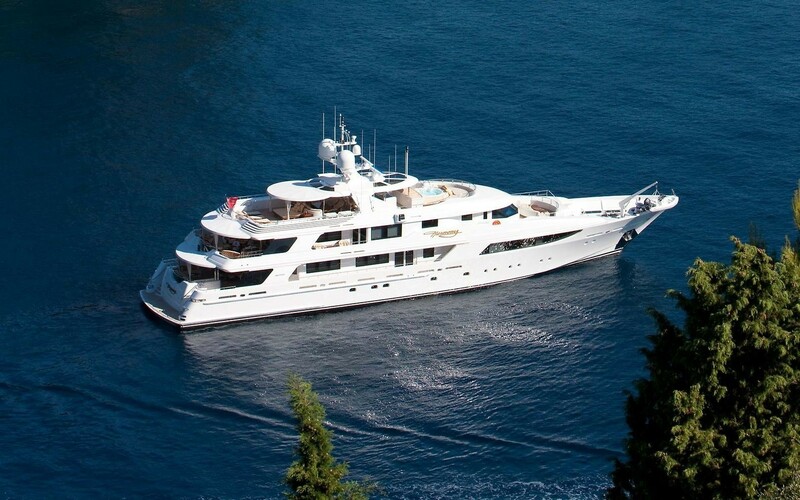 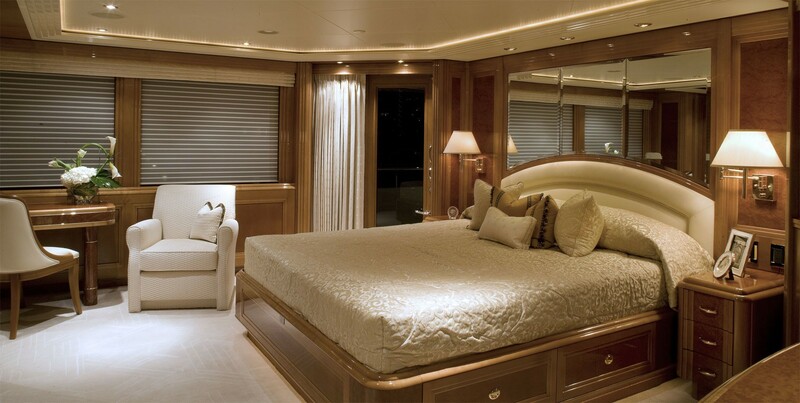 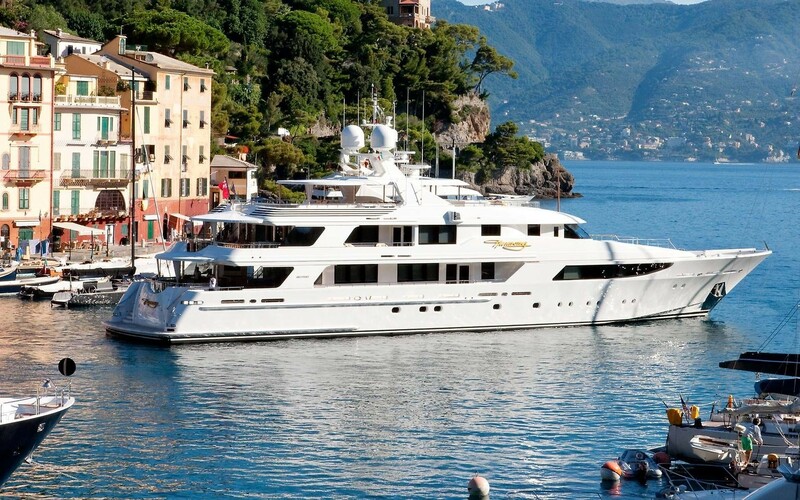 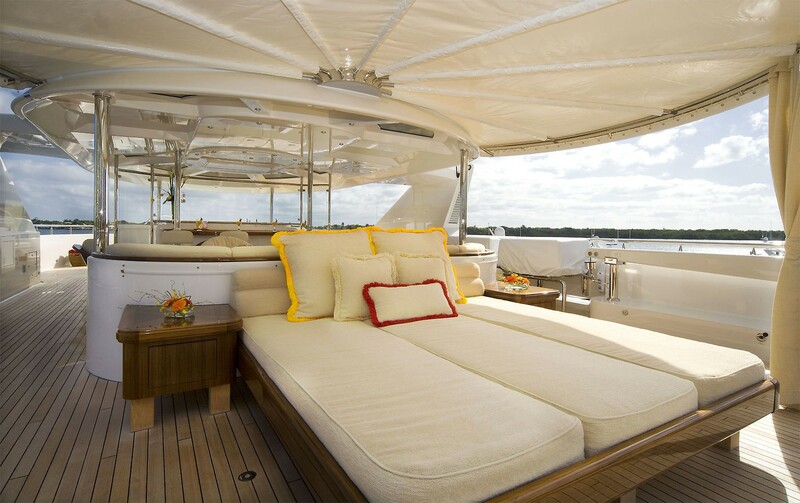 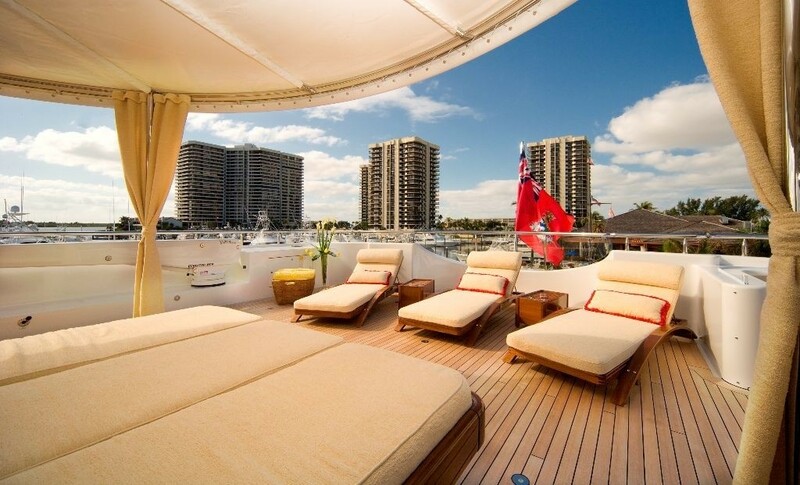 The luxury yacht Harmony sleeps up to 12 guests in 6 beautiful cabins. 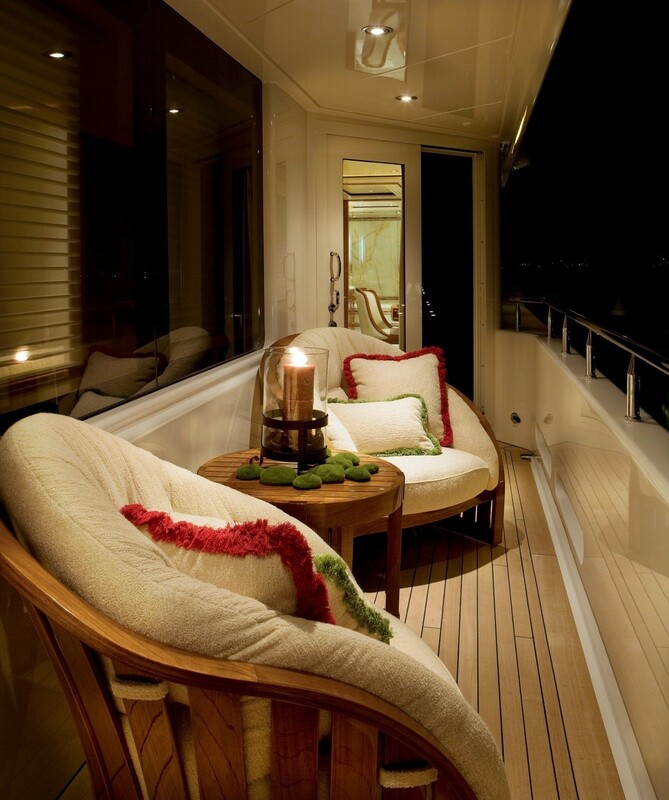 She is managed by a professional and friendly crew of 13. 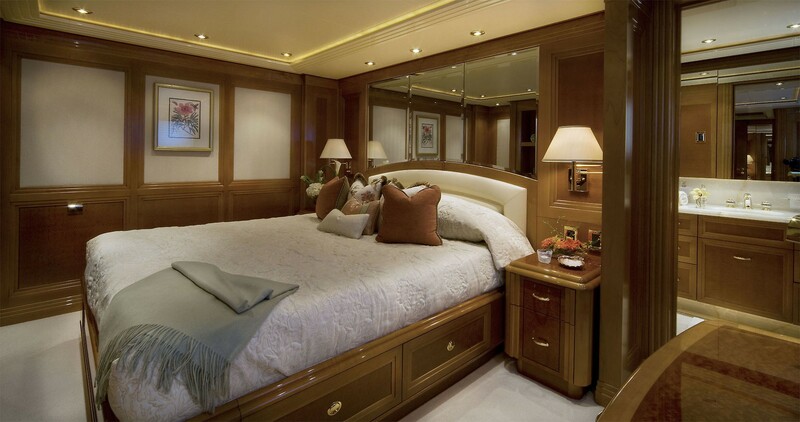 There is a spacious Master suite, a a Bridge deck VIP suite with its own sundeck, two king sized double cabins below, aft, a twin cabin forward to port and a convertible gym forward to starboard with a pullman berth. 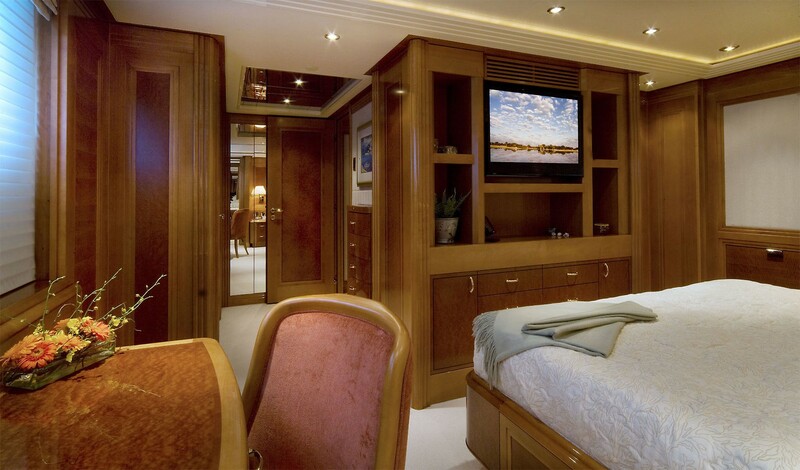 All cabins are ensuite and have entertainment centres. 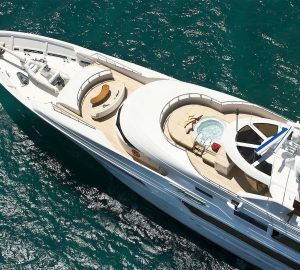 We do have available further amenity, owner and price information for the 49.71m (163´) yacht GIGI, so please enquire for more information.